Information sharing in the NHS is subject to rigorous regulation and governance to ensure your full identifiable and personal medical data is kept confidential and only ever seen by carefully vetted doctors, nurses and administrative staff responsible for overseeing your care. With the development of information technology the NHS will increasingly be sharing key information from your GP medical notes with Out of Hours GP Services, Hospital A&E Units, Community Hospitals, Community Nurses all of whom may at various times in your life be looking after you. Sharing information can improve both the quality and safety of care you receive and in some cases can be vital in making life-saving decisions about your treatment. There are currently two different elements of "sharing NHS patient information"
The intention of the SCR is to help clinicians in Hospital A&E Departments, Paramedics and GP 'Out of Hours' health services to give you safe, timely and effective treatment. Clinicians are only allowed to access your SCR record if they are authorised to do so and, even then, only if you give your express permission. You will be asked if healthcare staff can look at your Summary Care Records every time they need to, unless it is an emergency, for instance if you are unconscious. You can refuse if you think access is unnecessary. Over time, health professionals treating you may add details about any health problems and summaries of your care. Every time further information is added to your record, you will be asked if you agree (explicit consent). Patients under 16 years have an NHS Summary Care Record created for them so if you are the patient or guardian of a child then please either make this information available to them or decide and act on their behalf. Please complete the following consent form and return to the surgery to give the surgery your consent to share your SCR with additional information to other NHS Health care providers. Many people think that their GP health record is available to all healthcare professionals involved in their care, but this is not always the case. At the moment, each professional a patient sees keeps a separate record. This can mean some important information not being communicated between health services as well as it could be. Having a single electronic record with all health information in one place means that care providers can give patients the most safe and efficient care possible. Health information recorded at Wallingbrook Health Group can be shared digitally with other health and care organisations where patients are being treated. Wallingbrook Health Group asks patients if they wish to share their information on an individual patient basis with regard to record sharing. Sharing IN determines whether or not our GP Practice can view information in your record that has been entered by other NHS services who are providing care for you or who may provide care for you in the future (that you have consented to share out). Please complete the following consent form and return to the surgery to give the surgery your consent to share your medical record with other NHS health care organisations. The NHS wants to make sure you and your family have the best care now and in the future. Your health and adult social care information supports your individual care. Unless you have chosen to opt out, your confidential patient information can be used for research and planning. You are able to make or change your decision at any time. Your confidential patient information provides numerous benefits. It is used in research to find cures and better treatments for diseases like diabetes and cancer. Most of the time, we use anonymised data for research and planning. So your confidential patient information isn't always needed. If you do opt out, data that does not identify you may still be used. Confidential patient information can also be used to plan health and care services more effectively. The NHS and local authorities can plan where they need to provide further care services more efficiently. With you data, we are better able to develop and improve health and care services for the future. This helps to improve health and social care for you and your family. The NHS collects health and care data from all NHS organisations, trust and local authorities. Data is also collected from private organisations, such as private hospitals providing NHS funded care. Research bodies and organisations can request access to this data. Further information can be found here. There are very strict rules in how your data can and cannot be used, and you have clear data rights. Access to confidential patient information will not be given for marketing purposes or insurance purposes - unless you specifically request this. Protection of your confidential patient information is taken very seriously and is looked after in accordance with good practice and the law. All NHS organisations must provide information on the type of data they collect and how it is used. Data release registers are published by NHS Digital and Public Health England, showing records of the data they have shared with other organisations. Online - Use this service to request that your confidential patient information is not used beyond your own individual care. Telephone: 0300 303 5678 Open: 9am to 5pm Monday to Friday (excluding bank holidays). - You may contact the NHS Digital Contact Centre to verify your identity and discuss your data sharing choices. Parents or legal guardians may also set and manage a choice on behalf of their child under the age of 13 years. You can set and manage a choice on behalf of another individual, who is unable to manage their choice independently. For example, if you have power of attorney. If you decide to opt out, this will be respected and applied by NHS digital and Public Health England. These organisations collect, process and release health and adult social care data on a national basis. Your decision will also be respected and applied by all other organisations that are responsible for health and care information by March 2020. An opt-out will only apply to the health and care system in England. This does not apply to your health data where you have accessed health or care services outside of England, such as in Scotland and Wales. If you choose to opt out, your data may still be used during some specific situations. For example, during an epidemic where there might be a risk to other people's health. For more information on where opt outs do not apply click here. Consent is permission from a patient - an individual's consent is defined as "any freely given specific and informed indication of his wishes by which the data subject signifies his agreement to personal data relating to him being processed." The changes in GDPR mean that we must get explicit permission from patients when using their data. This is to protect your right to privacy, and we ask you to provide consent to do certain things, like contact you or record certain information about you for your clinical records. The Access to Health Records Act 1990 and Data Protection Act give patients / clients / staff or their representatives a right of access, subject to certain exemptions, to their health records. Wallingbrook Health Group respects the rights of individuals to have copies of their information wherever possible. No information will be released without your consent unless we are legally obliged to do so. For further information please download a copy of the Access to Medical Records Leaflet and the Subject Access Request Form. Medical records may be emailed to you via the secure NHSmail encryption service. For more information please see Text Messages and Emails. All patient information is considered to be confidential and we fully comply with the Data Protection Act 2018 and Caldicott principles. All employees in the practice have access to this information in relation to their role, have confidentiality clauses in their contracts of employment and have signed a confidentiality agreement. All staff members adhere to the confidentiality NHS Code of Practice 2003. Where a patient wishes information not to be shared within the team providing direct care then they must discuss this with their GP or Executive Partner. Patient information will not be shared outside of the direct care team without consent being sought. 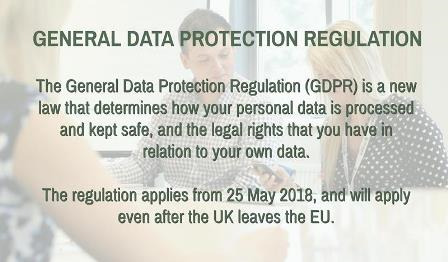 An individual has the right to refuse to have their information disclosed although this may have an impact on their care, and wishes will be complied with. In some circumstances we may be require by law to release your details to statutory or other official bodies, for example if a court order is presented, or in the case of public health issues. In other circumstances you may be required to give written consent before information is released - such as for medical reports for insurance, solicitors etc. Please note that it is the Practice's policy to record all telephone calls for the purposes of patient and staff care, security, and dispute resolution. Recordings and their use will be at the Partners' discretion and will also comply with the Practice's Data Protection registration. To ensure your privacy, we will not disclose information over the telephone unless we are sure that we are talking to you. Information will not be disclosed to family, friends, or spouses unless we have prior written consent, and we do not leave messages with others. The Practice will ensure that employees fully understand all their responsibilities with regard to confidential data by ensuring employees undertake Information Governance training and sign a written statement of the responsibilities they are undertaking towards the security of the data. Competency will be assessed as an on-going process and as part of the appraisal process. For further information please download a copy of the complaints leaflet. If you are complaining on behalf of a patient or your complaint involves the medical care of a patient then the consent of the patient will be required. Please obtain the patients signed declaration. For further details please refer to the complaints leaflet. Wallingbrook Health Centre, Back Lane, Chulmleigh, Devon, EX18 7DL. 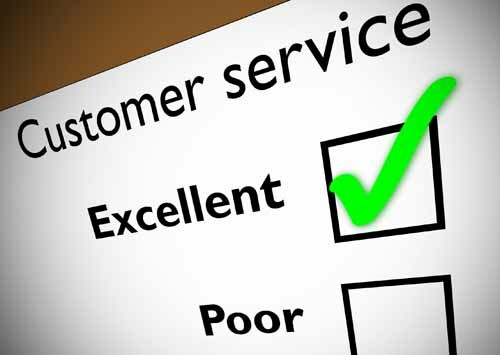 All our staff aim to be polite, helpful, and sensitive to all patients' individual needs and circumstances. They would respectfully remind patients that very often staff could be confronted with a multitude of varying and sometimes difficult tasks and situations, all at the same time. The staff understand that ill patients do not always act in a reasonable manner and will take this into consideration when trying to deal with a misunderstanding or complaint. Using bad language or swearing at practice staff. Any physical violence towards any member of the Primary Health Care Team or other patients, such as pushing or shoving. Verbal abuse towards the staff in any form including verbally insulting the staff. Racial abuse and sexual harassment will not be tolerated within this practice. Causing damage/stealing from the Practice's premises, staff or patients. Obtaining drugs and/or medical services fraudulently. It is important that any patient non-attendance policy is agreed as a practice and that patients are made aware of the policy and the reason for implementing. Whilst it is important to be consistent, there will be exceptions on an individual case-by-case basis. The policy is conveyed by posters displayed in the waiting room and by advertising the policy on this website. This policy is discussed with the Patient Participation Group.